festival rate: From £400 PER NIGHT BASED ON 2 PEOPLE SHARING. PACKAGE INCLUDES MHOR's FESTIVAL FOOD & EVENTS. camping, 16's & under £10 weekend camping, under 5's go free. includes hot showers and day entry. CAMP IN THE LUXURY OF ONE OF OUR BELL TENTS, pitched on the banks of loch voil. (fri, sat, sun) FOR 2 people sharing. 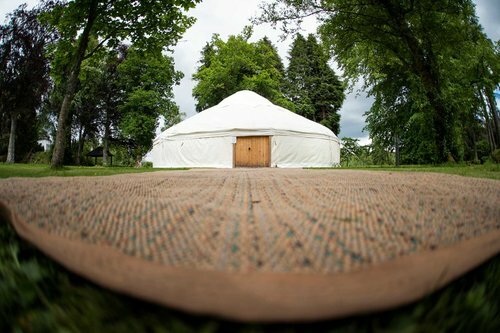 Get in quick and book your Red Kite Yurt. Limited availability. Don't forget to book your weekend camping ticket. 11 rooms, 1 self catering cottage, just off the a84. 15 minute drive to monachyle mhor hotel and farm.